On the occasion of the UN General Assembly, composer, singer, author, actor, and activist Sting and Trudie Styler, actress, film producer, director, human rights activist, environmentalist and UNICEF Ambassador, will be honored for their worldwide environmental work on Tuesday, September 25 at The Harvard Club in New York City by the Cinema for Peace Foundation and the BMZ, Germany’s Federal Ministry for Economic Cooperation and Development. Last year, Cinema for Peace New York introduced the Universal Human Rights Logo, and this year, an evening on Climate Change and Development. During the program Germany’s Federal Ministry for Economic Cooperation and Development will present support for the Rainforest Fund and the Leonardo DiCaprio Foundation. 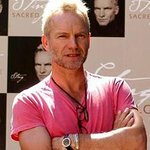 In 1989, Sting and his wife Trudie Styler started the Rainforest Fund, an organization devoted to protecting rainforests and their indigenous peoples in South America, Africa and Asia. To date they have raised more than $30 million for the cause and have expanded to a network of interconnected organizations working in more than 20 countries. The host for Cinema for Peace New York will be Amy Goodman, Host and Executive Producer of the award winning news show Democracy Now.